Cora pokes into Overmeyer's death, hoping to prove he died of natural causes. She learns the cranky hermit was the sole surviving member of a forty-year-old stock pooling agreement, and before she can say "capital gain," the town is full of heirs. Complicating things is Sherry's ex-husband, Dennis, who is playing detective in the hopes of impressing his ex-wife. With Sherry out of town, her restraining order against him is moot, and he is taking full advantage of the fact. 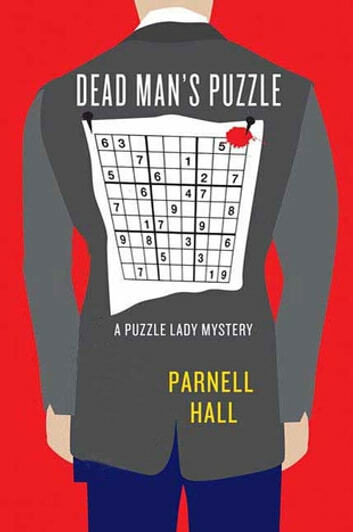 With Dead Man's Puzzle, Parnell Hall delivers another stellar, puzzle-packed entry in his entertaining Puzzle Lady series. 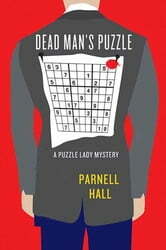 With Sherry out of town on her honeymoon, Cora will have to be pretty creative to solve the latest crossword related murder spree and keep her secret intact. I was happy to see that the character interactions that had grown beyond stale were revitalized here. I hope that continues with the next book in the series.